High strength fasteners in the aviation industry or high performance automotive field often require the use of an impact wrench or impact driver to deliver the amount of torque required to tighten or loosen them. 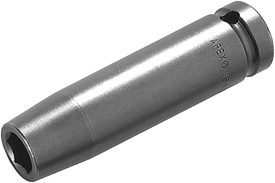 Impact sockets from Apex® Fastener Tools are designed and manufactured for high impact use. Apex® impact sockets are made from stronger alloy steel than the average impact socket.